While fourth-quarter earnings were down sharply due to weak traffic early in the holiday selling season, Shoe Carnival Inc. said athletics continues to strongly outperform its other categories and is expected to become an even bigger part of its mix in 2017. “Athletic is and has been for the last three, maybe four years the hottest category we have and we do look for athletic to grow at a higher rate than non-athletics,” said CEO Cliff Sifford on a conference call with analysts. Overall, fourth-quarter results came in largely in line with updated guidance provided on January 9. At the time, Shoe Carnival reduced its full-year EPS guidance on an adjusted basis to a range of $1.36 to $1.38, down from $1.46 to $1.51 previously, due to lower-than-expected sales in November. Adjusted EPS for the year wound up coming in slightly above that, reaching $1.40. Shares of Shoe Carnival on Friday closed at $23.94, down 87 cents, or 3.5 percent, in over-the-counter trading. In the fourth quarter, the family shoe chain logged a loss of $920,000, or 5 cents a share, against earnings of $4.2 million, or 21 cents, a year ago. The latest quarter was dragged down by an impairment charge of $3.6 million, or 12 cents, for seven Puerto Rico stores. Excluding that charge as well as other closing and impairment charges in both periods, adjusted net income tumbled 69 percent to $4.2 million, or 21 cents. Fourth-quarter sales inched up 0.2 percent to $234.2 million. In line with the updated January guidance, comparable-store sales decreased 1.2 percent. Store traffic was down mid single digits, unit conversion was flat and average transactions were up slightly. Gross margins contracted to 27.5 percent from 29.2 percent. Merchandise margins were down 130 basis points due to promotional selling in Q4 and margin pressures from cost associated with its multichannel business. Gross margins still came in above its January guidance. By category, adult athletic footwear in the quarter increased mid single digits on a comparable basis, driven by both men’s and women’s product categories. Women’s non-athletic footwear was down mid single digits. Women’s boots ended the quarter slightly negative on a comp basis. Aggressive promotions helped reduce boot inventories by double digits in every category except rain boots, hikers and booties. Said Sifford, “The merchant team did an outstanding job with aggressive promotions is a clear through seasonal boots.” Companywide, inventories were down 6.8 percent on a per-store basis. Women’s sandals ended the quarter with a comp gain in the teens. Men’s non-athletic footwear was down low single digits on a comparable-store basis. Similar to women’s, men’s sandals sales were up in the teens on a comparable basis. Men’s casual boots also saw gains, particularly in the hiking category. Kids’ footwear ended the quarter flat on a comparable basis, with non-athletic down mid- ingle digits and athletic up low single. Discussing some key initiatives, Sifford noted that the company continues to see growth from its Shoe Perks loyalty program. Shoe Perk customers accounted for 66 percent of sales last year and show they spend on average 19 percent more per transaction than non-members. A focus for 2017 will be on leveraging the customer data attained through Shoe Perks to help in marketing, merchandising, e-commerce as well as real-estate. The chain is also enabling customers to sign on to Shoe Perks through their mobile devices. 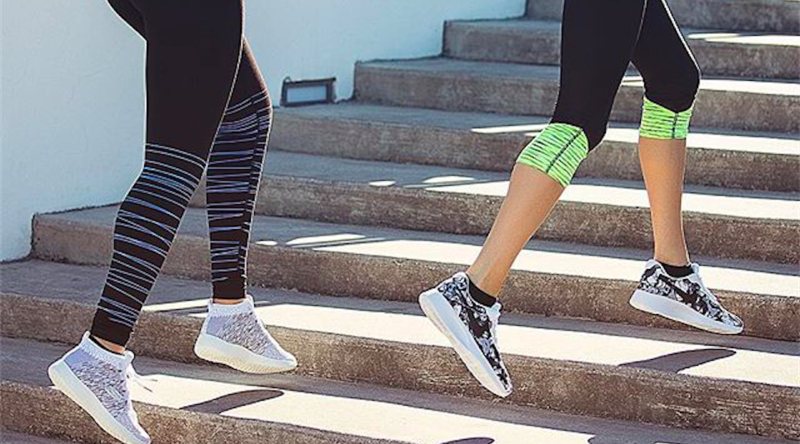 Among omnichannel programs, Shoe Carnival is “very pleased with the early results” of buy-online, pickup-in-store and buy-online, ship-to-store initiatives that were introduced in the third quarter. Shoe Carnival opened 19 stores, closed nine and relocated three in 2016 to end the year with 415. For 2017, it plans to open 20 stores, including three in smaller markets, nine in mid-markets and seven in traditional markets. Smaller market stores are “running well ahead of our first-year expectation in both sales and margin,” said Sifford. For 2017 and 2018, about two-thirds of its openings will be small and mid-market locations. Shoe Carnival plans to close 15 stores and relocate three this year. For the current year, net sales are projected to be in the range of $1.028 billion to $1.04 billion, with comparable-store sales flat to up low single digits. EPS is expected to be in the range of $1.45 to $1.54, up from $1.40 on an adjusted basis in 2016. Gross margins are expected to be up 30 basis points. Shoe Carnival declined to comment on first-quarter results because of uncertainty created by tax refund delays and the shift of Easter.